When I first met Shaun McGill my weight was totally out of control and getting worse every day, but Shaun opened my eyes to healthy living. I started Shaun’s 8 Week Lose Weight Fast Academy nutrition plan and exercise regime and before I knew it the weight was dropping off me. It is by far the hardest thing I’ve ever done but also by far the most rewarding. Shaun pushed me to do things I didn’t think I was ever capable of doing. So many times I thought I couldn’t do it but Shaun showed me that I could. He inspired me to go way beyond what I thought I was ever capable of achieving. There were times I felt like giving up but seeing how proud I was making Shaun, my family, friends and also how proud I was feeling kept me going. Each day I grew in confidence that I could hit my goal and turn my life around. It scares me to think how heavy I would have been now without Shaun’s help. I now look at life in a totally different way. Shaun taught me so much about exercise, nutrition and believing in myself that I will now be able to carry this on for the rest of my life. I’ve even now started passing on everything I learned from Shaun to help my friends who want to lose weight. It feels fantastic to be able to help other people. I can totally understand why Shaun has so much love for helping people. I can honestly say at 26 years old this is the first time in my life I’ve felt good about myself. 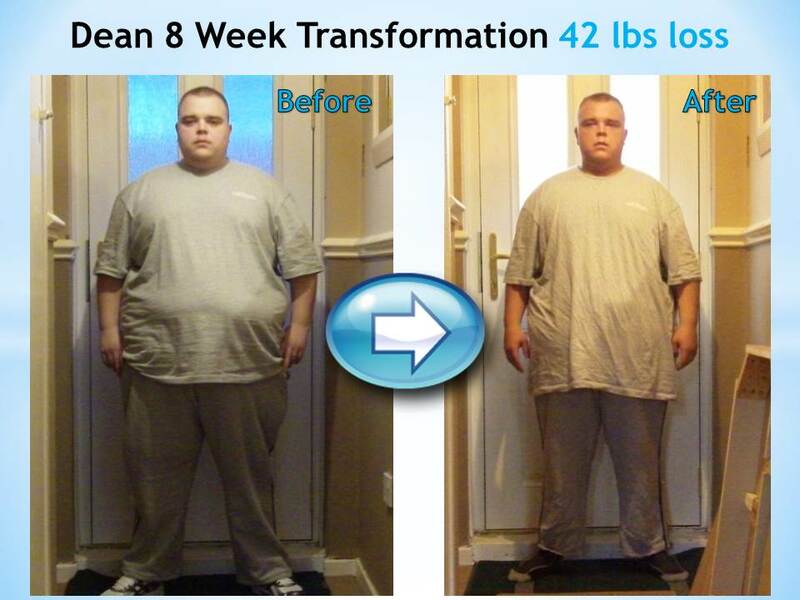 I started off at 24 stone 1 pound and during the 8 week programme I lost 42lbs. For this I owe Shaun the world. 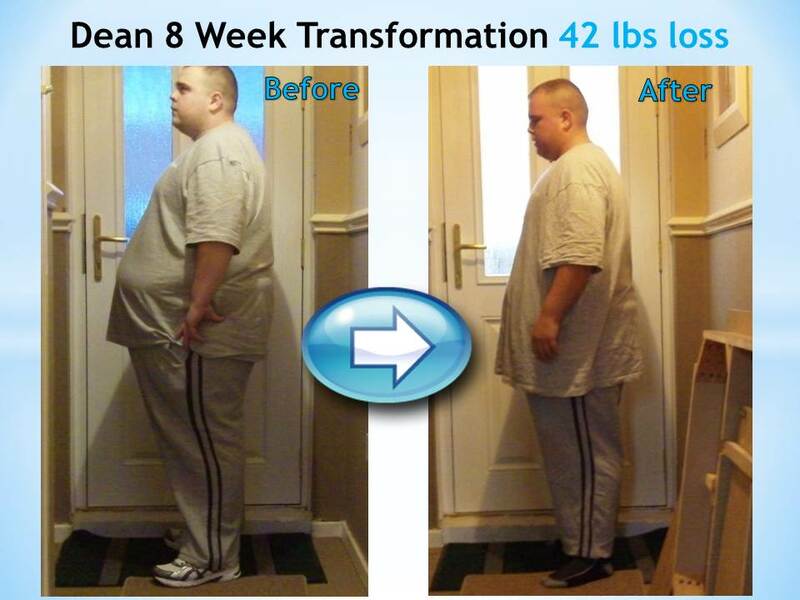 I have carried on the plan and eating healthy and have now lost a total of 91lbs in 25 weeks. I cannot thank Shaun enough for what he does to help people like me. It is so selfless and amazing. In my case he literally was a life saver. Now I move forward and hope to lose another 4 stone. Shaun’s showed me I am capable of doing this and I will not stop until I have achieved this. Thank you so much Shaun for all of your support. I really couldn’t have done this without you. At the age of 26 my life starts now. I am known to everyone in my life as the fad dieter!! If there is a new diet I am on it! I have literally tried every diet under the sun and have occasionally lost weight but never kept it off before. The Lose Weight Fast Academy 8 Week Nutrition Course was recommended to me by a friend and I can say that it is the best and last ‘diet’ I shall be going on. I find it hard to categorise this course as a diet, as to me it was the preparation to a new way of life. I looked forward to attending classes every week as I felt I was constantly learning something new. I have now changed my eating habits for the better and shall not be going back!! This is not an easy quick fix, the course was at times hard and I did struggle now and again thinking I wasn’t losing weight etc., however, with the help of Shaun (who you can contact at anytime with questions, etc) and support of the other class members I completed the course and feel absolutely great for it. Having lost 17lbs I am the lightest I have been in 10 years and I am constantly getting compliments from family and friends about how good I look. I would definitely recommend this course to anyone who is ready to lose weight and change their life for good. 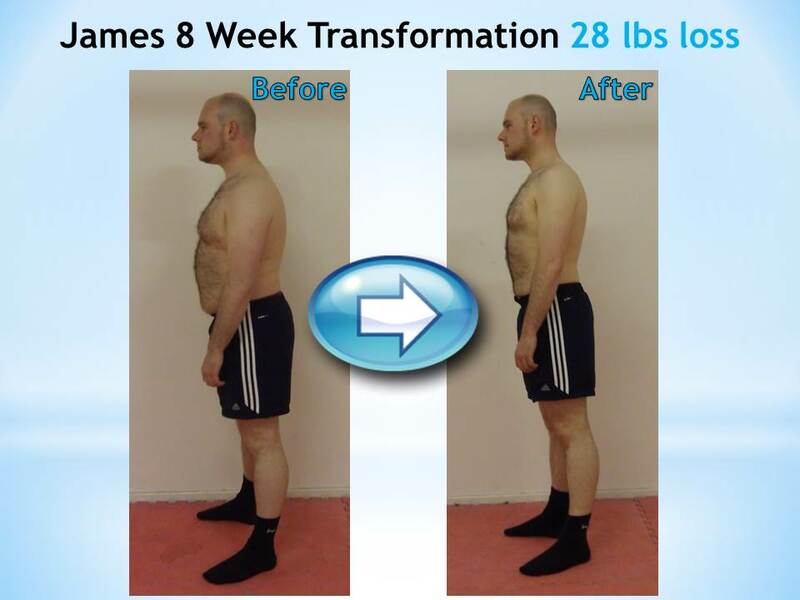 I have been exercising for years and I have always been in good shape, however, I was looking for a programme to take my results to the next level, which is when I came across the 8 Week Lose Weight Fast Academy. 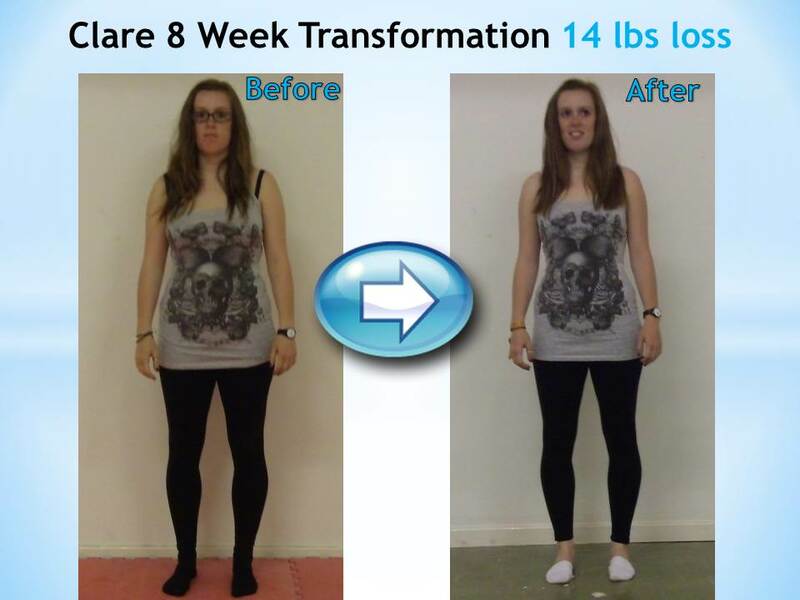 I can honestly say the 8 Week Lose Weight Fast Academy is the best programme I have ever followed. 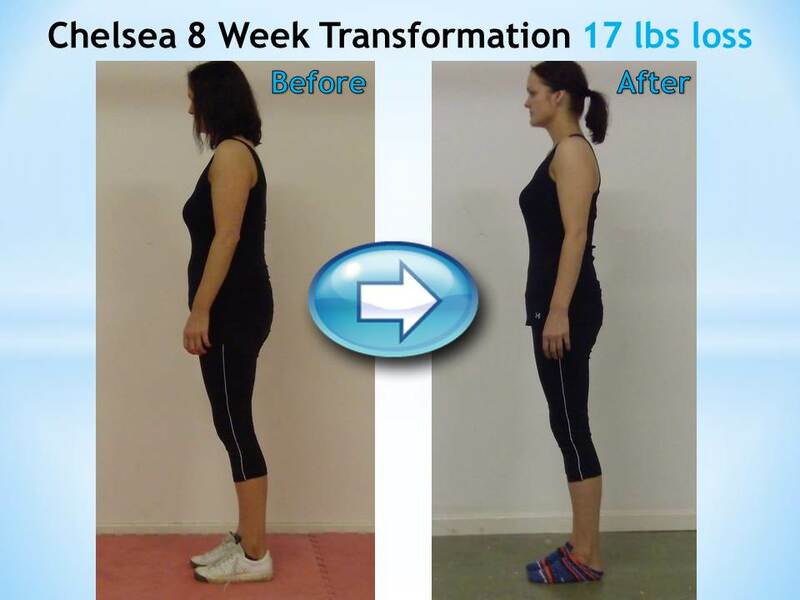 I learnt so much about diet and exercise during the programme as well as seeing an unbelievable transformation in my body. 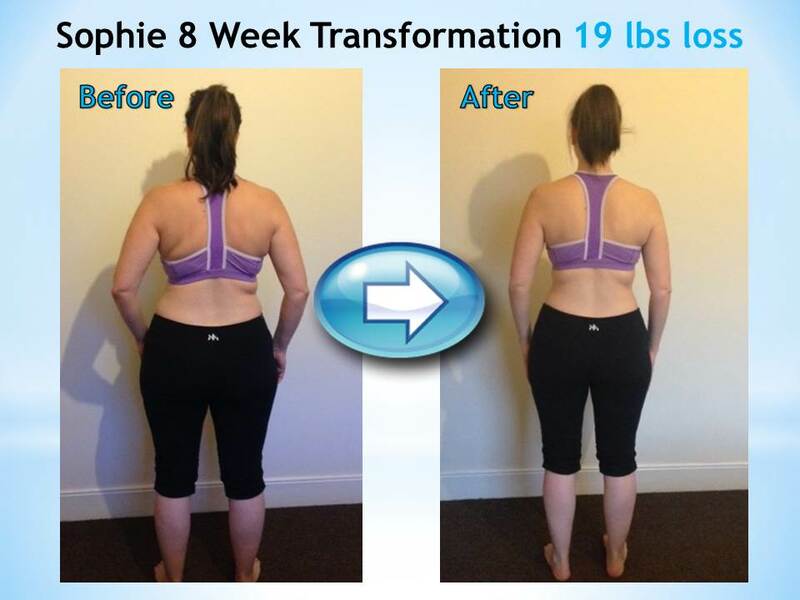 I would recommend this programme to anyone who is looking to lose weight fast and transform their body, as well as those who are looking to learn more about diet and exercise so they can maintain their results for the long term. The Lose Weight Fast Academy really is more than just your average diet plan; it is amazing how much you learn during the 8 weeks. I learnt about the importance of detoxing, eating for your individual needs, carb cycling, fasting, how to incorporate cheat meals into my diet effectively as well as the most effective exercise methods for weight loss. However, one of the biggest things I learnt was the importance of your hormones and how they affect weight loss, which I didn’t know anything about before the programme. I learnt so much during the programme about nutrition, exercise and myself that I know I will be able to maintain my results for the rest of my life. I am really happy that I decided to follow this programme. I always thought it would be impossible to get a six pack but the Lose Weight Fast Academy made it far easier than I ever imagined. If I can get a six pack and transform my body then you can do it too. Back in my teenage years I was always one of the physically fit and slim members of my friendship group. This was due to my love for basketball and exercise in general. Back then food didn’t seem to be a problem. What I didn’t know was that the way I started to eat in my late teens would have a huge effect on me in my early 20’s. When I started university I stopped playing basketball and continued to eat in the unhealthy way that I had become accustomed to. Due to this I put on weight, although I wasn’t fully aware of it. In May 2012 I booked to go on a trip around America for a month with my friends at the end of the summer. It was the thought of me being in a bikini which made me question if the body I had was really the body I was happy with. It wasn’t long after this that I found out about Shaun and his Lose Weight Fast Academy 8 Week Nutrition Course - I immediately signed up. I signed up with a naive view that I would lose weight then go back to the way my life was before. However, throughout the 8 weeks I learnt so much about my body and what works for me, that I realised I didn’t simply want to go back to the lifestyle that I had. Even if I could eat all I wanted and be slim, I knew I wanted to change for the long run and be healthier. Thanks to what I learnt during the 8 Week Lose Weight Fast Academy I now consider my body (as cheesy as it sounds) as my temple. I am the only person who is going to take care of it and I get out of it what I put in. Although the course was difficult and I found myself sometimes close to quitting, I’m really glad I didn’t. I learnt that food should fuel you and having to nap after a meal isn’t ‘funny’ or ‘ok’ - it meant I wasn’t giving my body what it needed to carry on. Throughout the whole process Shaun was the one who taught me all I needed to know so that I didn’t quit and helped me to understand my body so much better than I ever thought I could. 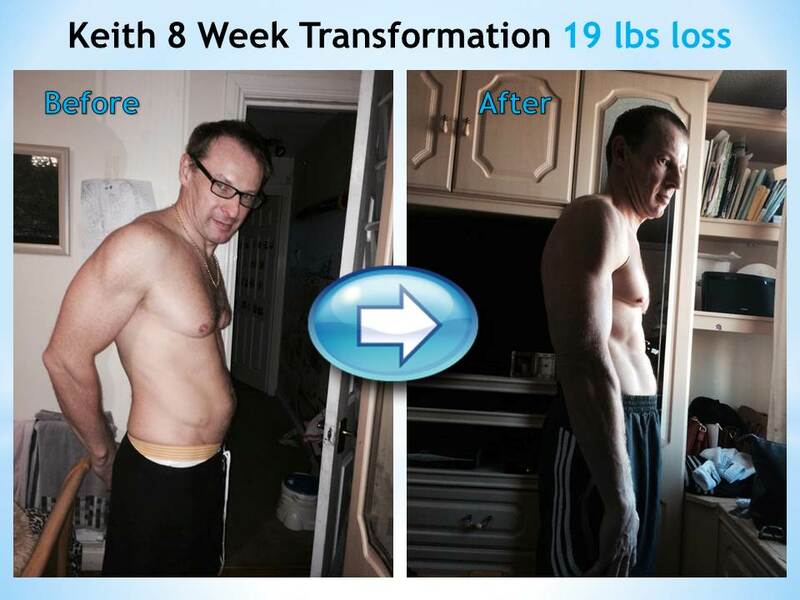 Being able to contact Shaun through Facebook whenever I needed a boost or had a question, made this transformation so much easier than if I tried to do it on my own. In fact I know I couldn’t have lost a stone on my own! Thanks Shaun and the Loose Weight Fast Academy. Thank you for teaching me how to live a healthy life at my ideal weight. When Shaun first told me he was working on an amazing new diet program, I thought “sounds good” but quickly forgot about it. 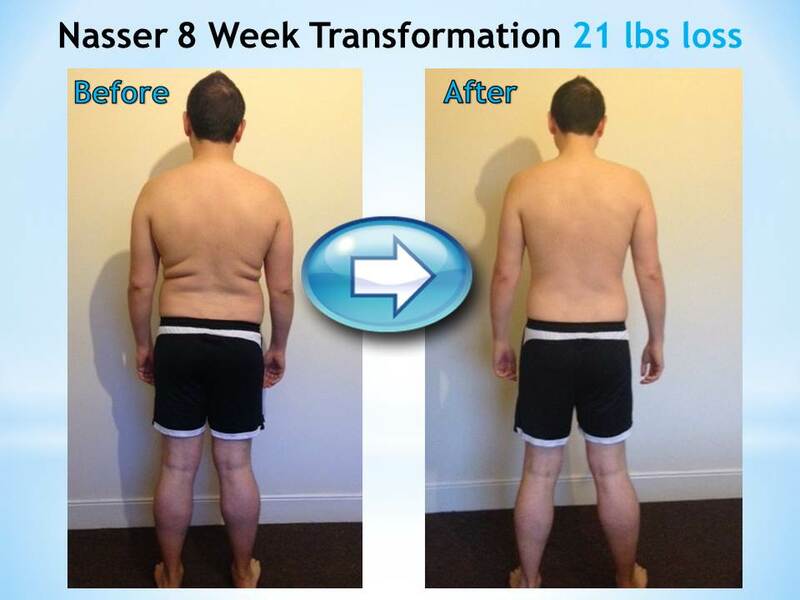 However, when I was attending his boot camp and I could actually see him losing weight over a couple of months by trying it out on himself, that’s what got me really interested, so when he told me he had managed to lose 23 pounds over 8 weeks, I jumped right on board with the Lose Weight Fast Academy. As most people of my age and weight have, I’ve tried quite a few diets in the past but have never really gotten anywhere because they were either too complicated, or the results were too slow for the time and effort needed. One or two were highly effective, resulting in quick weight loss, but were so hard to stick to I inevitably gave up. However, Shaun told me that his Lose Weight Fast Academy wouldn’t be too painful to stick to and the foods involved were pretty standard things, so I thought I’d give it a go and see what happened. If someone like Shaun who was already in good shape could achieve that kind of weight loss in that time period, then there’s no reason I couldn’t! I set myself an ambitious goal of losing a couple of stone over the 8 weeks – it seemed like a challenging but achievable goal, and would take me to the lowest weight I’d ever been my entire adult life. Losing weight is something I’ve wanted to do for a while as I’ve always wanted to feel fitter, and be able to push myself further. I remember attending the first presentation, nervous about what I’d let myself in for, but when Shaun told me what and when I could eat for the first week, I thought to myself “is that it? !” – It just seemed too easy, a thought I had many times over the 8 weeks when subsequent week’s meal plans were emailed out. Suffice to say, I found the 8 weeks a lot easier than I thought I would. Not as easy as going to the local McDonalds obviously, but certainly much easier than most diets I’ve tried. Just from the types of food I was eating, I felt noticeably healthier within the 1st week, but when I had to buy myself a new suit to wear for work at the 4 week mark, that’s when I really thought I might actually hit my 2 stone goal! I remember my excitement in week 5 when I was allowed my first cheat meal – mmm, takeaway pizza! I also remember my surprise at how difficult it was to eat and how it didn’t taste as good as I was expecting. I guess I had grown to actually favour healthy food over rubbish without realising it! Anyway, the 8 weeks flew by and in the end I lost 28 pounds and 6.3% body fat. Chuffed does not come close to describing how I feel about reaching my 2 stone weight loss goal! Even ignoring the raw numbers, I feel much healthier than I did only a couple of months ago, and that matters far more to me than what the scales say. I would recommend the Lose Weight Fast Academy to anybody, regardless of their past successes and failures with dieting. I’m going to go though it again, or at least stick to the principles of it, and try to lose a bit more whilst allowing myself the occasional beer or curry!. It turns out eating healthily isn’t as hard as I thought it was! Thanks Shaun and the Lose Weight Fast Academy, you’ve managed to do something many other experts and books have not been able to – give me a working blueprint of how to lose weight, and encourage me to eat healthily for the long term. Having struggled to lose weight despite diets and exercise, I had thought losing weight wasn’t possible for me. Over the last few years I have seen my weight creep up, and whilst I wasn’t hugely overweight I was still unhappy with my body and self conscious, particularly in work clothes – so much so that I found it would distract me from work. Frustrated with the lack of progress despite a healthy diet and regular exercise I joined up to the Lose Weight Fast Academy with the intention of losing at least half a stone. 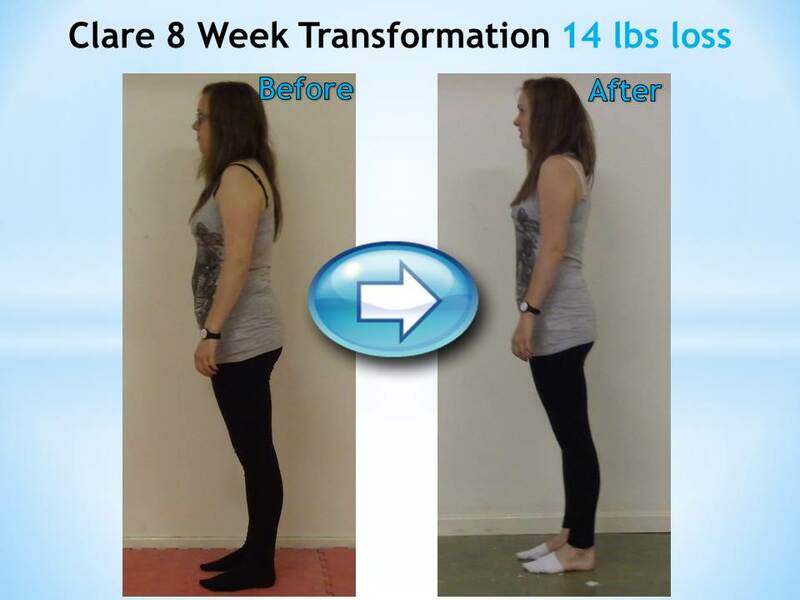 I lost 15lbs and 6.5% body fat, and was also pleased to lose 4 inches off my hips. 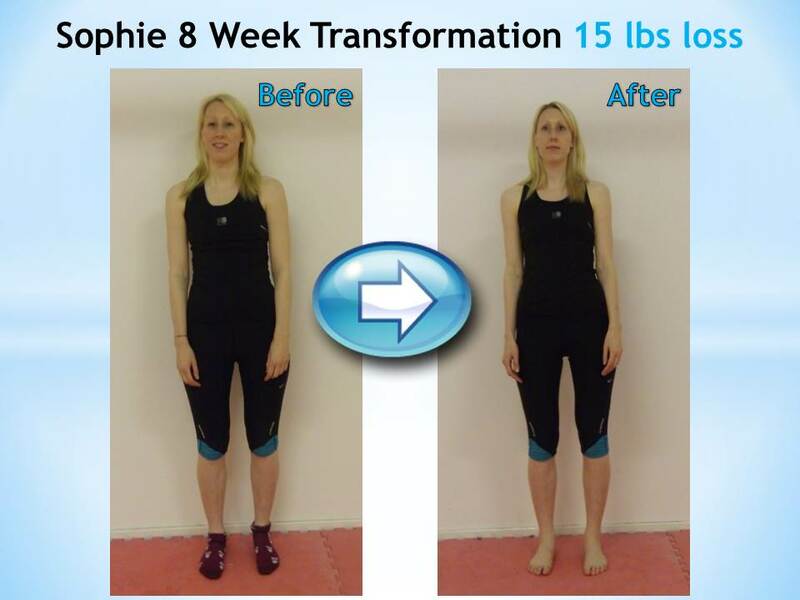 I am really happy with my results and definitely plan on repeating the 8 week course to see if I can achieve similar fantastic results again. The results have made me feel more confident in myself and I feel generally healthier than I did before. I have also learned which foods suit me and which help or hinder my weight loss, which I didn’t expect so was another bonus. I would recommend the Lose Weight Fast Academy to anyone wanting to lose weight and anyone who, like me, had struggled before as it proves it can be done! I initially decided to try out Shaun’s 8 week Lose Weight Fast Academy as I felt fitness alone was not getting me to my desired weight. 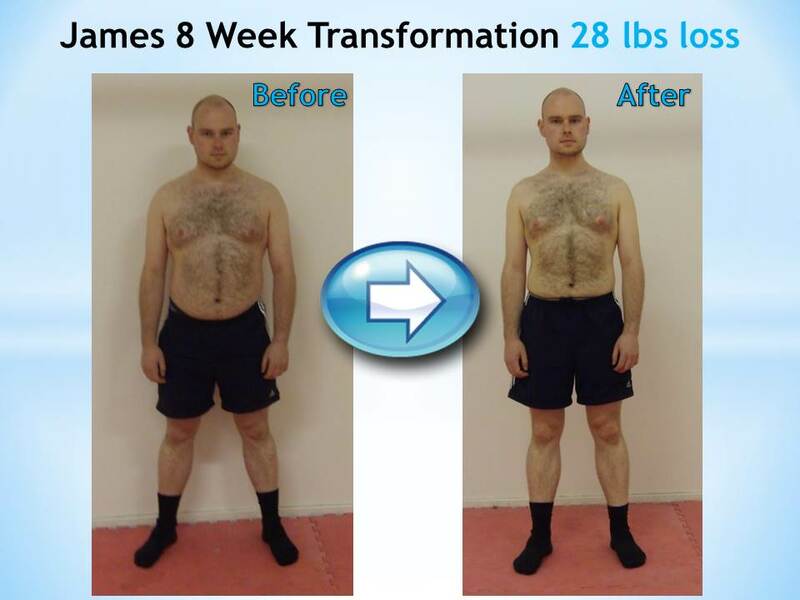 I have been attending Shaun’s Boot Camp for 11 months and although this has been a fantastic experience and has built my stamina and muscle percentage I felt I needed to do something else to really make a difference in terms of fat loss. I have tried dieting before with mixed success and was looking for something to make an impact and also something permanent. At the start of the diet I was nearly 16 stone and my target weight loss was 2 stone. When I first saw the first week’s menu I had reservations about it and how I would cope with it. Lots of fruit, veg, green tea and 2 litres of water a day were things I was not used to, but I had agreed to do it and the least I could do was see it through to the end. By the end of the first week I was climbing the walls. All I wanted was a brew and a Kit Kat, but these were on the “no chance” list so I had to drink more green tea instead. I understood I was purging my body of toxins but it was still hard. 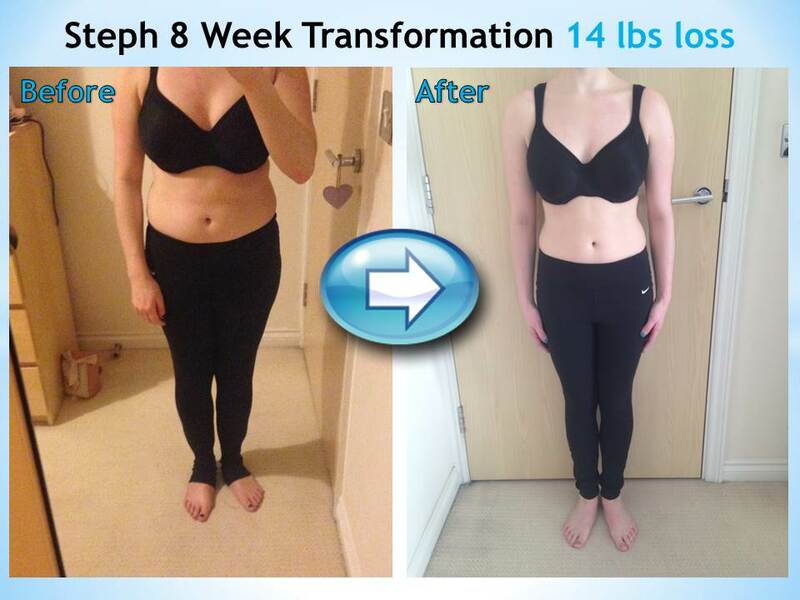 After the first week I was so pleased I had made it I was determined to continue and get through it. After the 3rd week I started to lose weight. A few pounds here and a few pounds there. It all started to add up and by the end of the diet I had lost 18 lbs, gone down two jean sizes and lost about 4.5% body fat. This made me feel great!!! Even though the diet was one of the hardest things I’ve ever attempted, the fact that Shaun supported me every day with advice, Facebook messages and menu choices made me feel like I wasn’t doing it alone. I would recommend the diet to anybody as a life changing event. Not only have I lost significant weight I have learnt to eat properly and to respect what food can do, not only for you, but to you. Secondly I believe that if you combine the diet with regular exercise you will get to feel and look great!! Having previously been in the army I have always been incredibly fit and my weight has never been an issue. In fact I used to run 10 miles plus every day which helped me to maintain a six pack no matter what I ate. However, after I left the army I done less and less exercise which lead to me gaining weight. One day I woke up and decided I needed to lose weight and get back into the great shape like I used to be. I decided the best way to lose weight and get into shape would be running as this is what helped me maintain a 6 pack in the past. I joined a gym and ran for an hour on the treadmill 5 days per week. To my surprise I lost very little weight for all the effort I was putting in. I was starting to get a bit frustrated with not losing much weight through running so I started to look for other alternatives. My partner was personal training with Shaun at the time and was seeing great results, much better than I was seeing so I asked Shaun for some advice on weight loss. 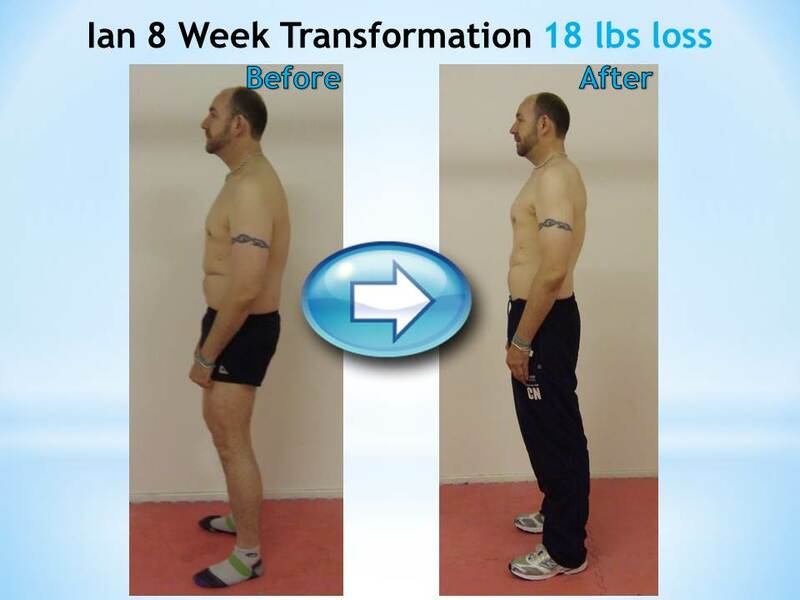 Shaun told me he had just created his 8 Week Lose Weight Fast Academy plan which had helped him lose 23lbs in 8 weeks and had helped his clients see similar results. I was a bit wary at first as it meant giving up running and instead focusing on my nutrition and lifestyle to lose weight. I decided to give it a go after I seen all the great before and after photos of people who had followed the plan, even though I was thinking to myself it is impossible to lose weight unless you run. The first week went by and I felt great. I was actually eating more food than normal and doing less exercise and I managed to lose 4lbs the first week. This was the same amount of weight I had lost in 3 months running 5 days per week so I was very happy. 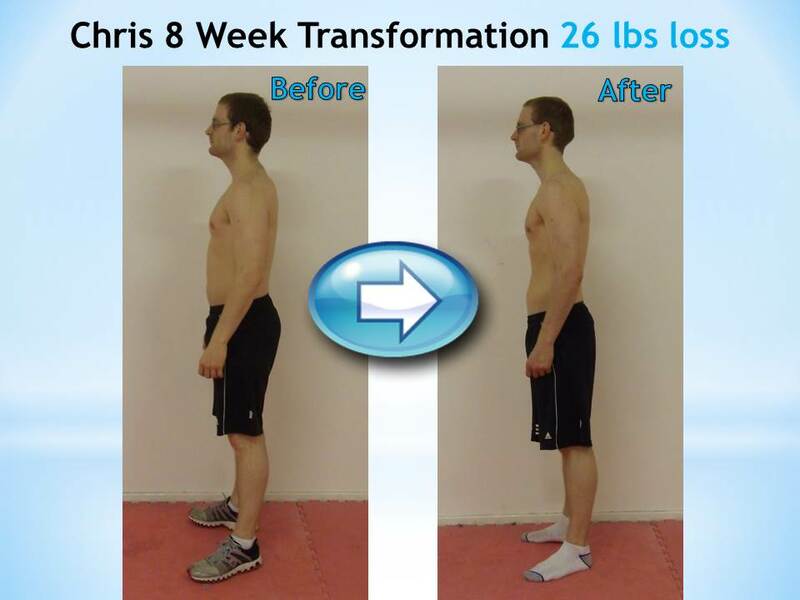 Over the course of the 8 weeks I managed to lose a total of 16lbs and completely transform my body. I couldn’t believe how simple it was to lose weight and how much easier and more effective it was than spending hours running on the treadmill. I will admit though there were tough times throughout the 8 weeks but Shaun’s support got me through it. There were times I was craving foods and really wanting a chocolate bar, but Shaun’s advice helped me get past those cravings. 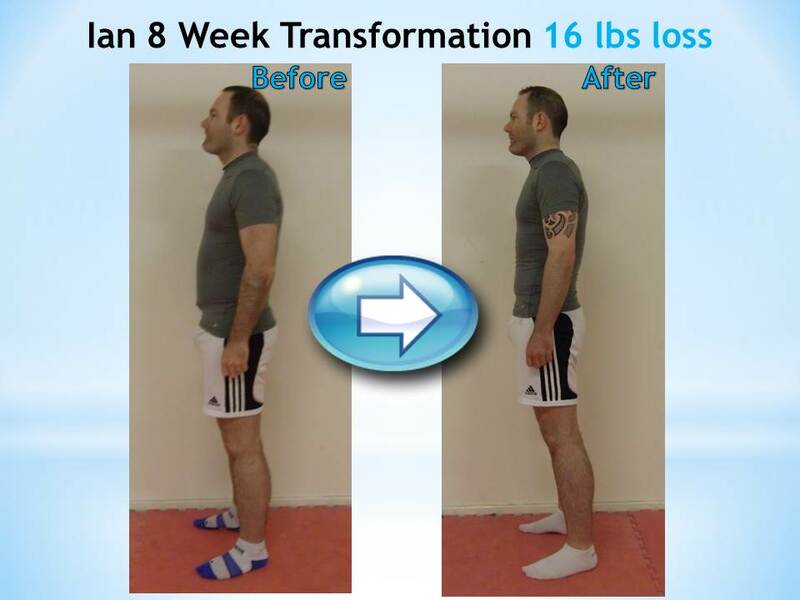 Without the support of Shaun I would have gave up and wouldn’t have seen amazing weight loss results. Whichever diet you follow or any methods you choose to lose weight you are always going to have tough times, but it was Shaun’s support that made his plan a success for me. The plan is great and will work for anyone who follows it, but its Shaun’s support and advice which ensures you stick to it. I learnt so much during the 8 weeks about nutrition, but also about myself. With everything I have learnt through the 8 Week Lose Weight Fast Academy I know I will be able to stay fit and healthy for the rest of my life. I would recommend this course to anyone who is struggling to lose weight, especially those who are exercising like mad like I was. 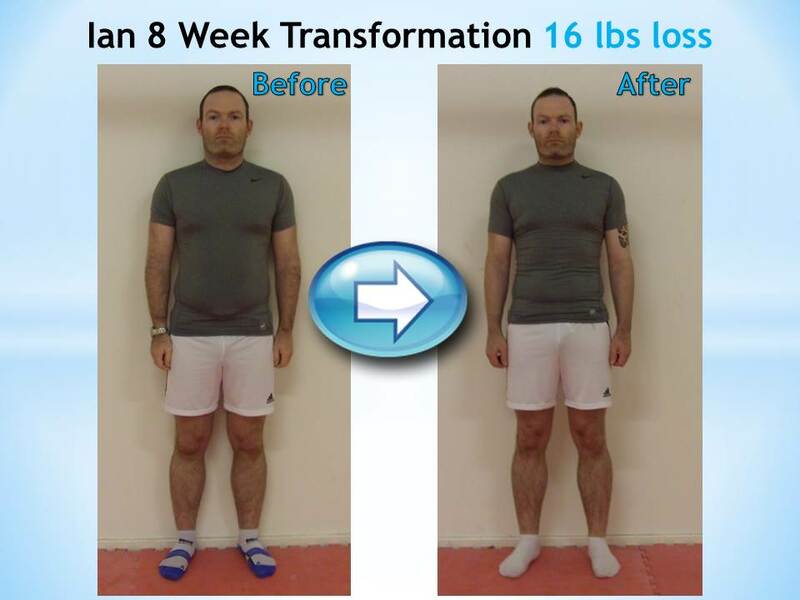 You really don’t have to kill yourself in the gym to lose weight; it is far easier and more effective to follow the nutrition and lifestyle advice in the 8 Week Lose Weight Fast Academy. Thank you Shaun for your wonderful advice and support. 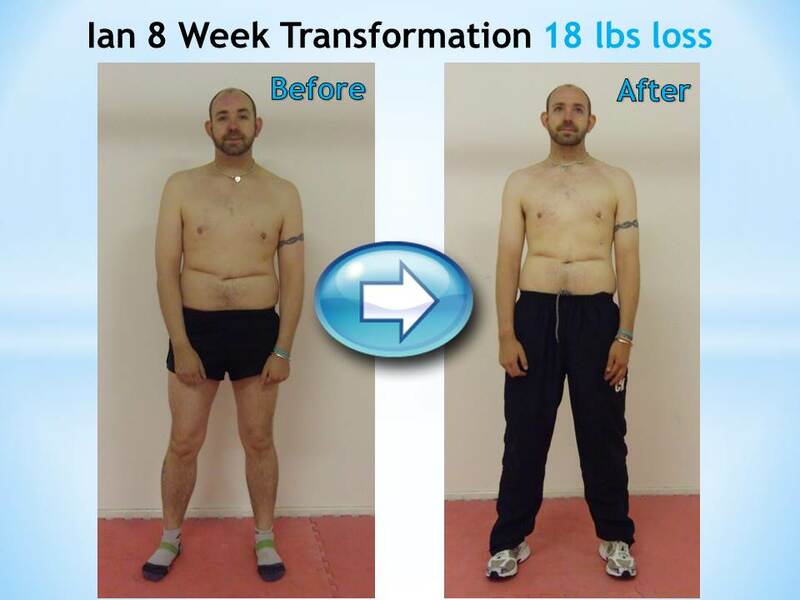 I really couldn’t have done this without you and your amazing 8 Week Lose Weight Fast Academy plan. After many years of really bad eating and being overweight I decided to join the gym as I was so fed up of how I looked. But no matter how hard I tried exercising and using different diet’s from calorie counting to trying to give up sweets and cakes I struggled to see the results I wanted. Even though I was exercising at the gym I wasn’t really making the progress I wanted as I kept going back to snacking on sweets and cakes. Whilst training at the gym I began personal training with Shaun and although I was getting stronger and fitter I still wasn’t losing the weight I wanted due to my poor eating habits. 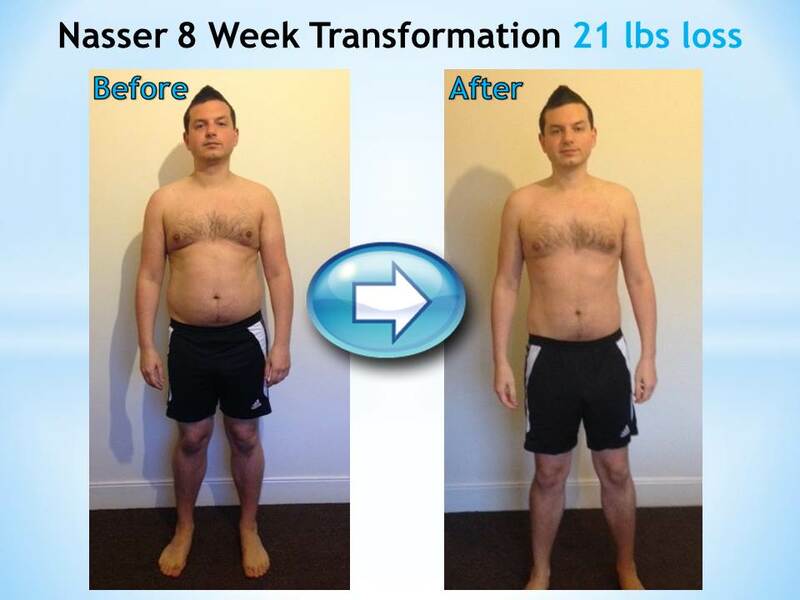 Shaun suggested to me his 8 Week Lose Weight Fast Academy plan. I was very dubious as I had tried lots of other diets in the past which never really worked as just ended up the same after a few months. They would work for a little while before I stopped seeing results and then because I wasn’t seeing results anymore I would give up and would end up putting all the weight back on. Although I was very dubious I really wanted to lose weight so I decided to try Shaun’s 8 Week Lose Weight Fast Academy plan. Right from the start it was totally different from any other plan I had tried. I realised that it’s not just a diet and that it’s a total health plan. The plan is divided into 3 parts; diet, fitness and life coaching tasks. Because of the great way it is designed I instantly felt confident that it would work. Another great thing about the programme is the way it is presented. You get access to weekly videos explaining everything about diet and exercise and all of Shaun’s information is backed up with facts and scientific studies. I would recommend to anyone who is going on the plan that they watch the videos in full as they have very good information in them and it makes the plan easier knowing exactly why you are doing everything. Also I like that you only get access to one week at time as it makes it a lot easier to manage and follow rather than being giving all the information at once. There is so much detail that every last thing is planned for you from suggested foods to meal planners. This program I would recommend to anyone as the best diet I have ever tried. I lost just over 20 pounds in the 8 weeks. 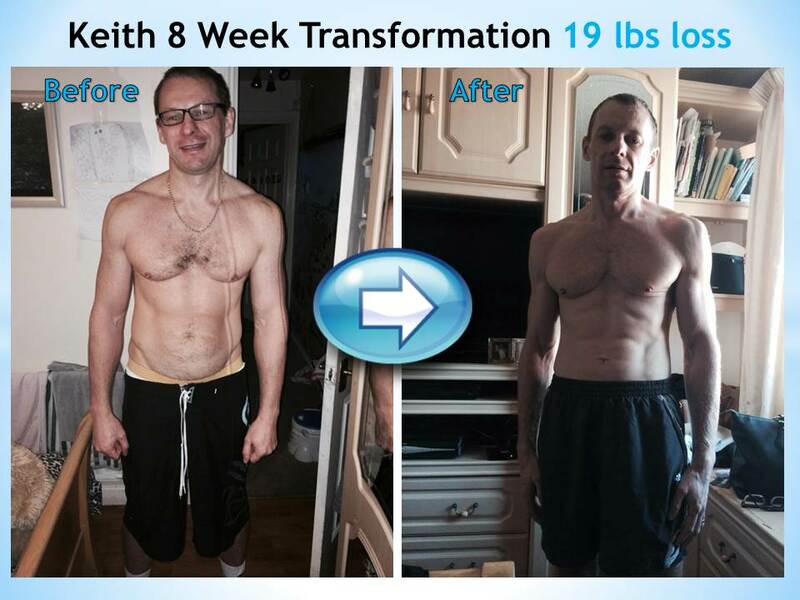 Because of these amazing results I have now started Shaun’s other plan the Final Phase Meltdown. 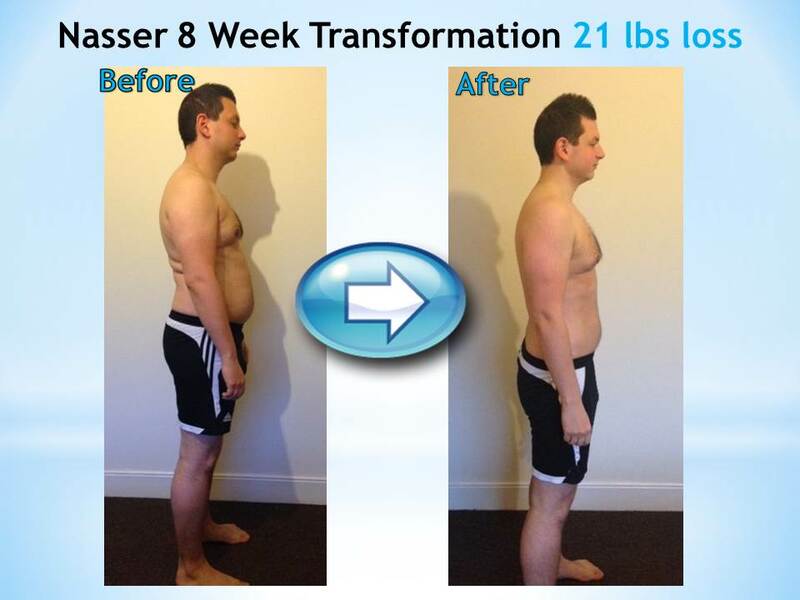 But on top of these amazing results following the 8 Week Lose Weight Fast Academy has totally changed my lifestyle and my eating habits for good. Thank you so much Shaun for such a fantastic plan. I have tried lots of different diets in the past and despite losing some weight I was never happy with the results and still lacked confidence when it came to my body shape. Having increased my exercise and still not seeing the results I was hoping for I decided to sign up to the 8 Week Lose Weight Fast Academy programme. When I first saw the diet plan I was slightly worried… I didn't know how I would cope without caffeine or pasta as these were staples to my diet. However, I started seeing results straightaway which took my worry away as I knew the plan was working and it was worth cutting out caffeine and pasta. Changing the diet each week is great as it helped to keep me motivated. Other diets I have followed in the past are the same all the time and I either get bored or I stop seeing results, whereas, the Lose Weight Fast Academy changes weekly which meant I kept seeing results and it kept me mentally on my toes. I will admit some weeks were defiantly harder than others but once I had fully prepared and organised my meals, it was fine. The meal planner in the programme definitely helped to keep me organised which is very important when following this plan. I didn't once miss the things I used to crave so much, like caffeine or pasta. In fact I have much more energy and feel much better not having them. At the start I thought it would be really hard to give these up but after the first few days I found it easy not having them anymore. 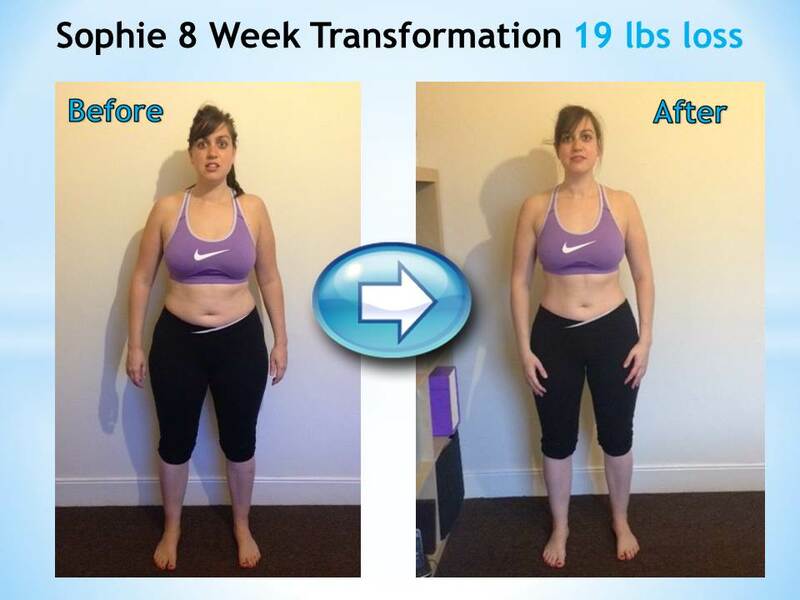 The 8 week programme had both highs and lows but I can honestly say it's the best thing I have ever done. The constant support and help from Shaun in the Facebook group made the programme a million times easier, thank you very much. 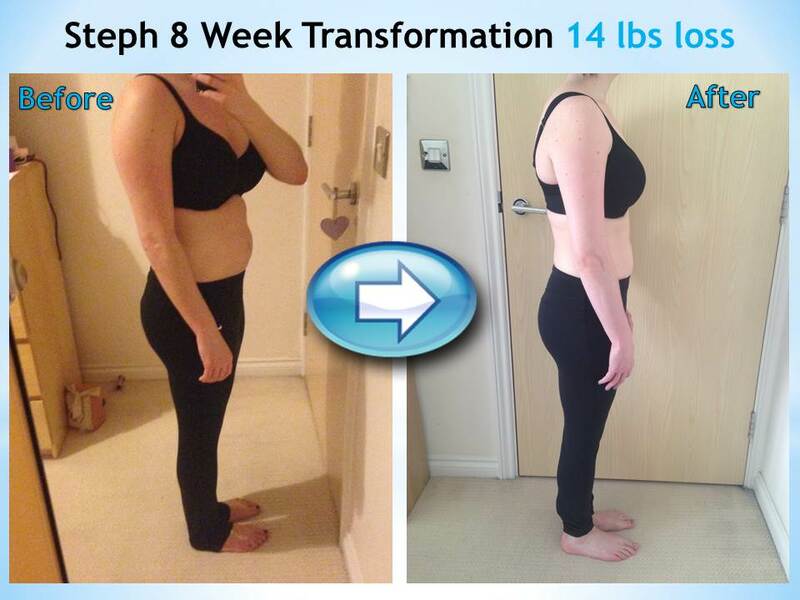 I am so pleased with the results and there is no way I would have lost a stone and 4 inches from my waist following any of the plans I have tried before. 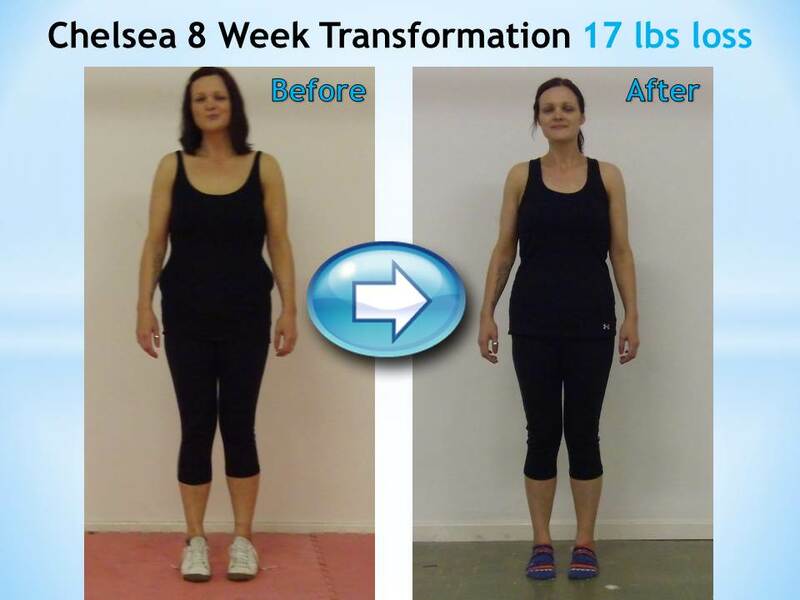 Doing the 8 Week Lose Weight Fast Academy programme has changed my life in so many ways. My energy levels have rocketed, my skin is glowing and the weight has dropped off. One of the biggest differences for me had been with my sleep. I was a frequent sleep walker, once or twice a week. 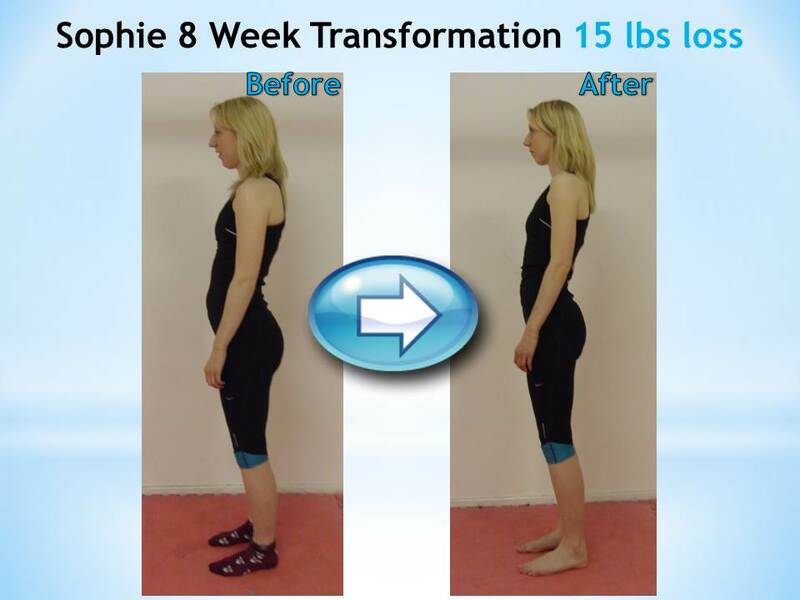 However, since starting the 8 week programme I have slept soundly every night for a solid 8 hours and felt refreshed every morning. Such a massive difference. I would definitely recommend this programme to everyone! 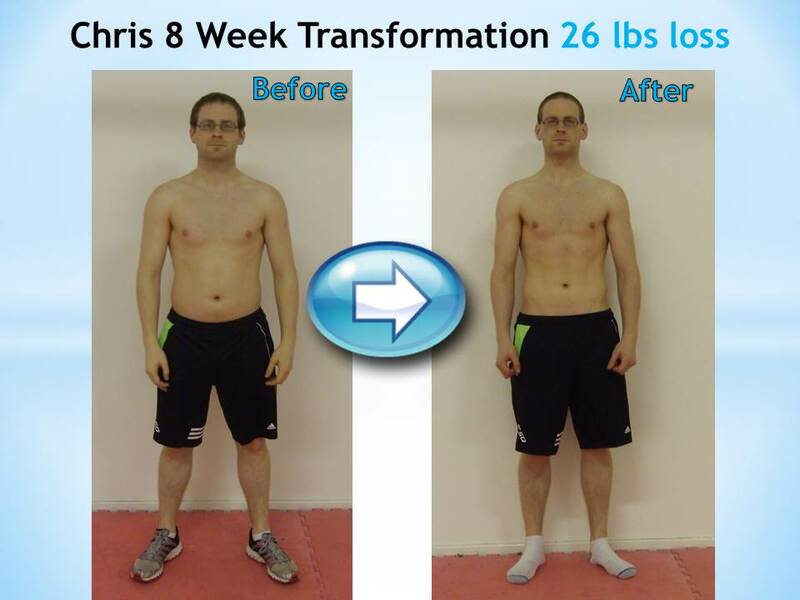 Thank you so much Shaun for putting together the 8 Week Fat Loss programme - it's literally been the only thing that has ever worked especially that quick. In June 2013 I put a halt to exercising after quitting the gym and not replacing it with anything... and suddenly I'm finding myself a stone and a half up by Christmas. 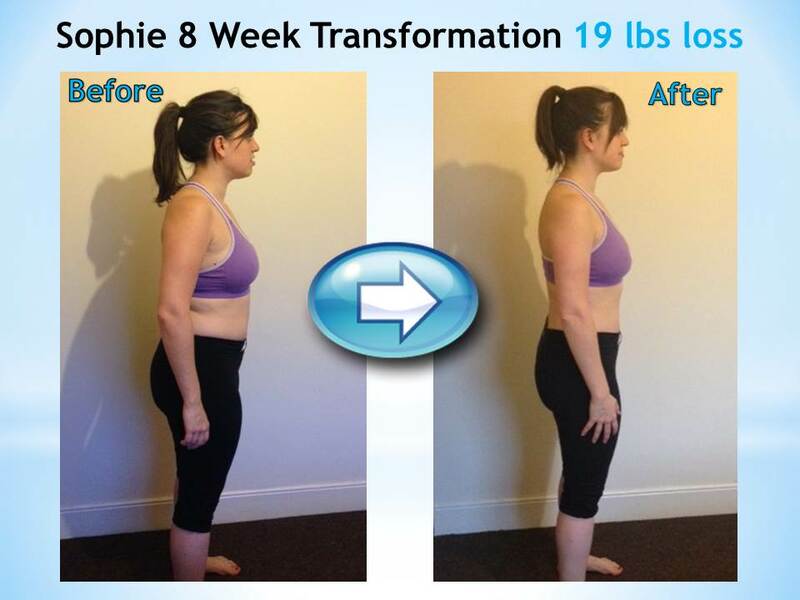 Unbelievable that I lost all of that in 8 weeks on your program. There is a fitness part of the program which I will admit I didn't stick to... but as you say Food is about 95% of the fat cause anyway. I can't imagine what I would have looked like if I did the exercise! I'm now only an A cup moob instead of a C cup moob. Thank you Shaun for helping me feel great again.